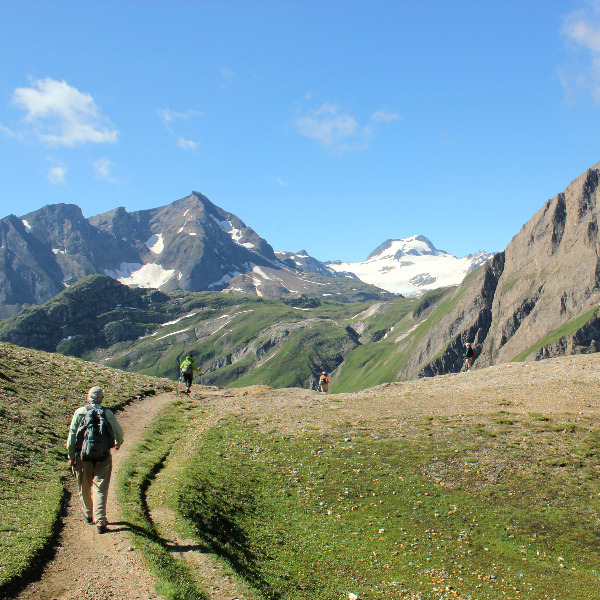 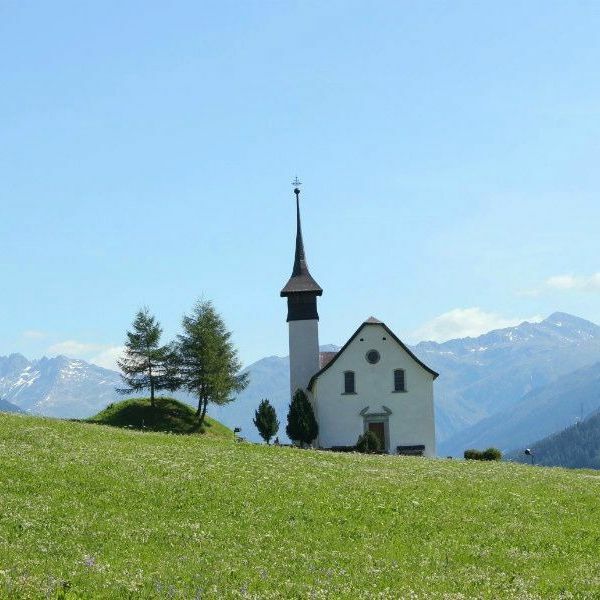 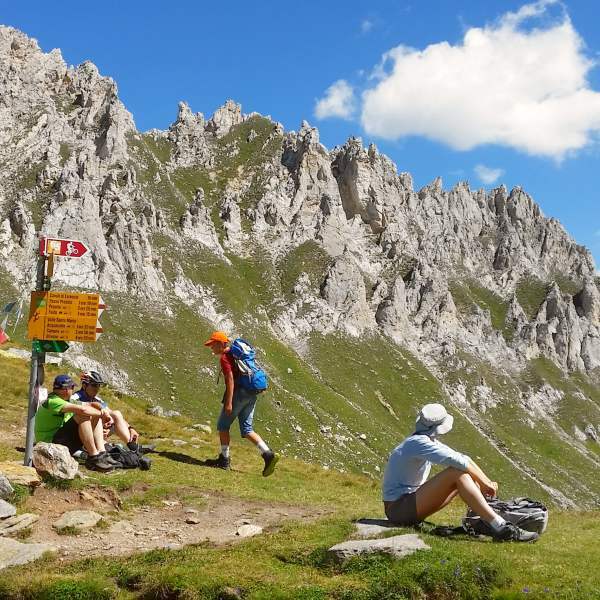 A spellbinding, circular hiking tour, in Switzerland and Italy , around the second highest mountain in Western Europe. 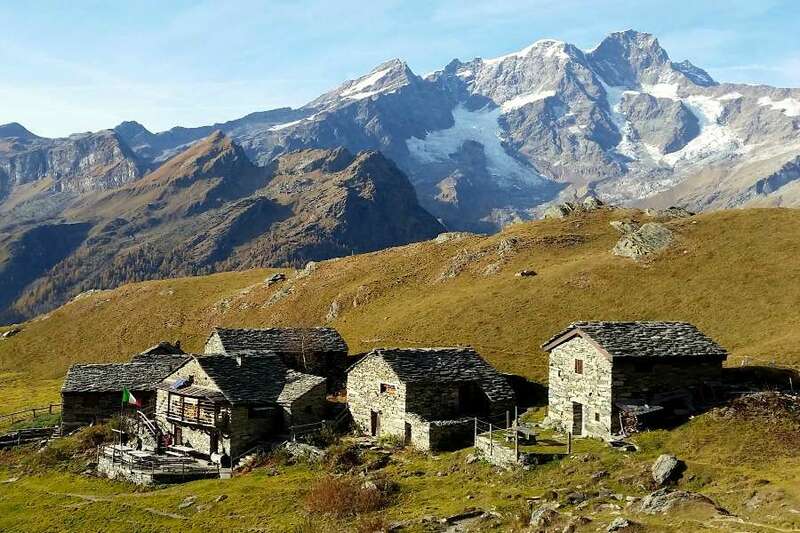 Monte Rosa, a giant massif comprising, and surrounded by, most of the 4,000-meter peaks of the Alps, is shared by Switzerland and Italy, namely the canton of Valais and the regions of Aosta Valley and Piedmont. 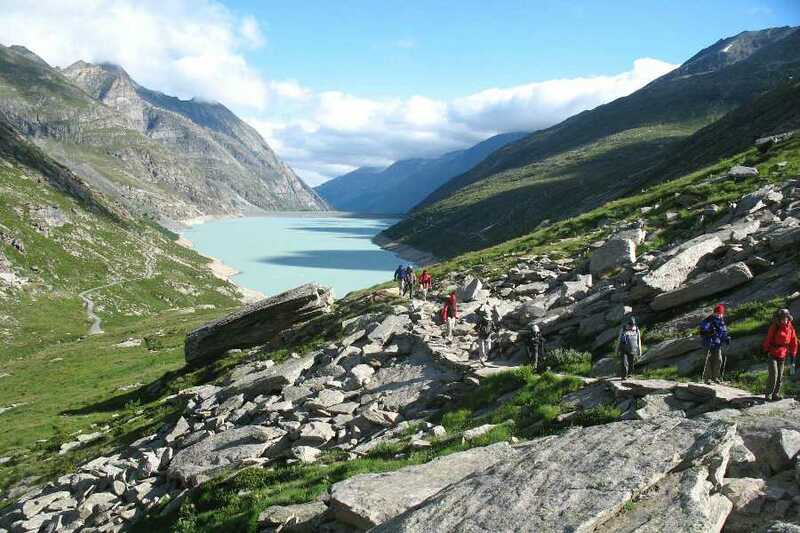 Spectacular valleys radiate from its snow-covered flanks, each one dominated by magnificent scenery. 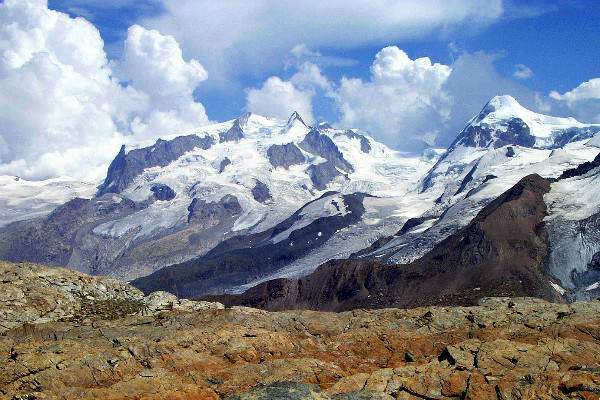 Among them, the Zermatt Valley and Saas-Fee valley, glaciated heavens in Swiss territory, and Valle Anzasca in Piedmont. 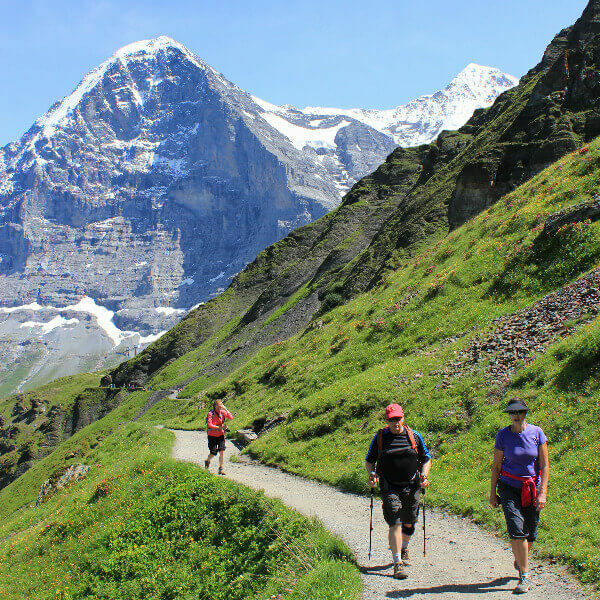 This part of the Alps has some of the most magnificent hikes in the world, and The Tour of Monte Rosa is one of the greatest opportunities to appreciate fully a truly humbling, mountainous environment. 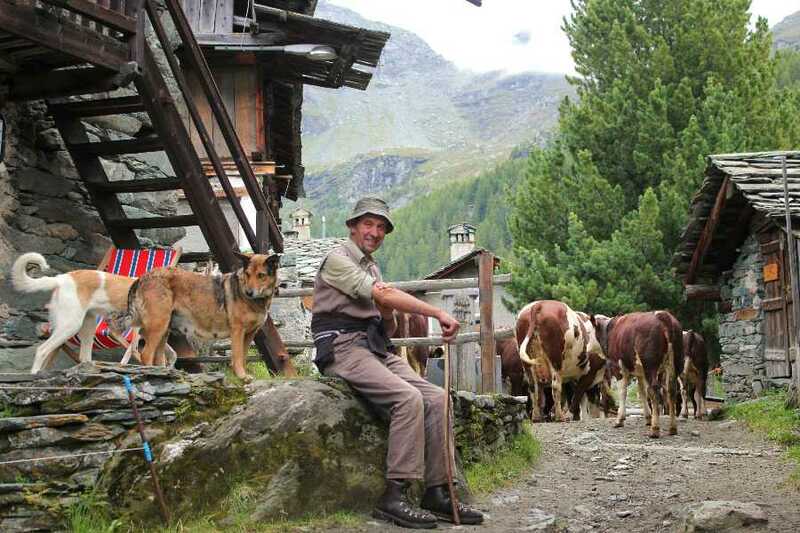 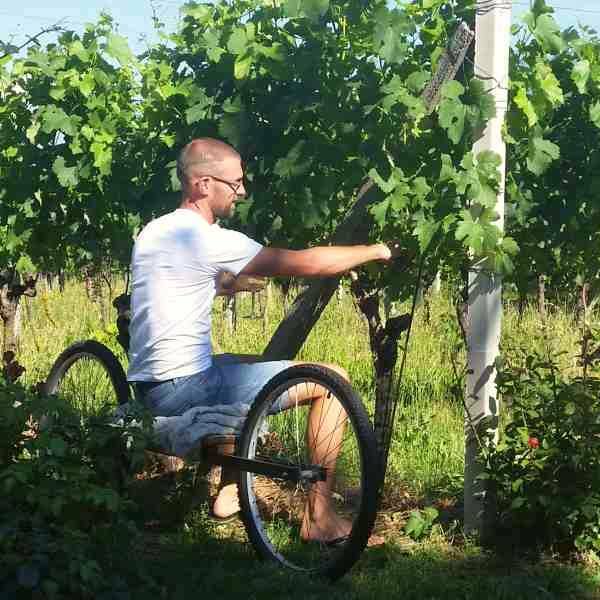 Alpine trails and historic paths lead us deep into the canton of Valais in Switzerland, and the Piedmont Valle d’Aosta regions in Italy, introducing us to a fascinating history and a multitude of cultures, traditions, and architectural styles. 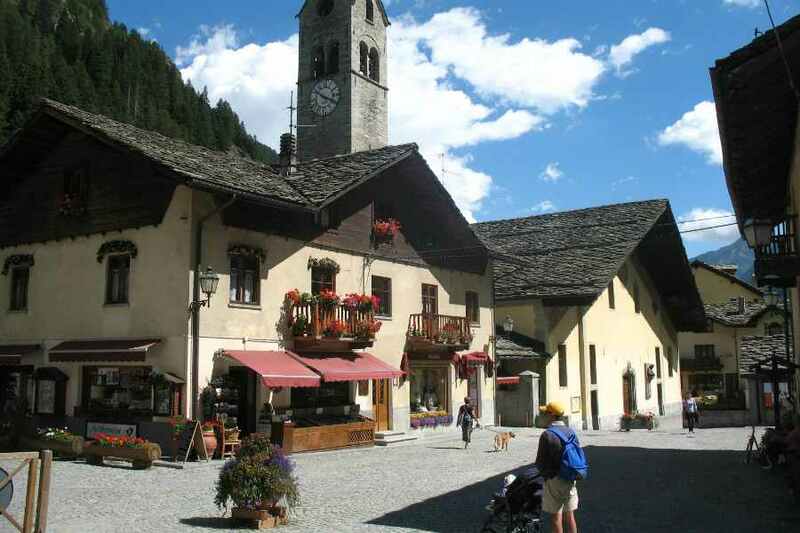 The cuisine is as varied, as well, reflecting the typical gastronomy of each area visited. 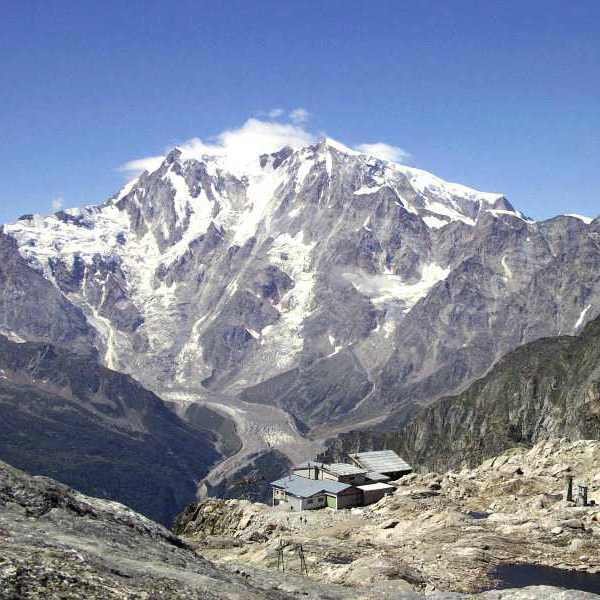 Starting in Saas-Fee, we journey around this regal mountain, enjoying sublime landscapes and panoramas. 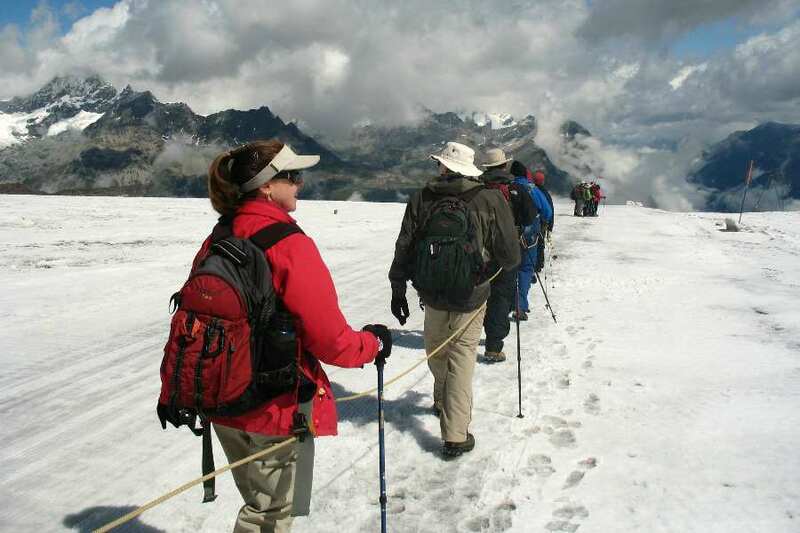 We conclude our efforts with an easy descent on the Theodul Glacier, in the company of a licensed alpine guide, before we enjoy a deserved rest in Zermatt, at the presence of the legendary Matterhorn.